Thanks to Saken, you can read the interview below! Q. Playing the role of Sora since the release of the first game in 2002, Irino-san. We would like to ask a bit about the appeal of the Kingdom Hearts (from here on KH) series. 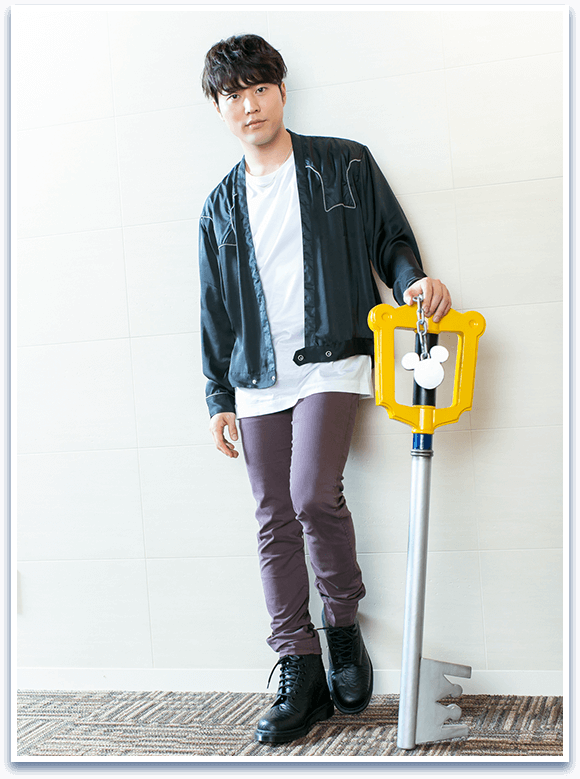 Irino: I think that at the end of the day, it is a collection of Disney and Square Enix characters appearing together on screen, giving it a real special and exciting feeling! In regard to story also, with each new numbered title the plot thickens, and your understanding of it evolves as you progress through each twist. Even as his actor, I feel as if I am adventuring through many worlds along with Sora. So even when I come into contact with Disney in any form, I don’t feel unfamiliar with them, rather, I get a feeling like “Ah! I’ve met this person!” or, “Hey! That’s my friend!”. When dubbing him, the amount of lines to record are huge and it gets a little tough, but when I take a look at the script or the scene I’m dubbing, I forget about how tough it is. That’s the power of the series. Q: According to you, what sort of boy is Sora? Irino: He is simple and naive, having the power to influence others while also being influenced himself. He is very much like a main character. He stands up in the face of danger, and even if he fails he stands up once more. Seeing someone like him fills you with motivation. Q: You have been playing Sora from the first title, has how you interact with him changed along the way? 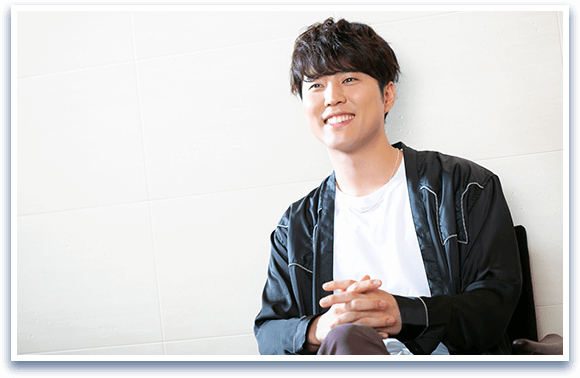 Irino: The first time I played Sora I was 14 years old, so I was able to give a really true to heart depiction of him. From there on, as Sora slowly became more of an adult I became very conscious of how to represent the change in his voice and style of speech. Around my 20’s proved to be a difficult period of time to “be” Sora. But now, I feel like it’s become a lot more smooth. I believe this is because I myself have come to experience many different things. But at the same time I am always conscious not to waver too far from the core of the KH series that is Sora’s character. Q: In LINE: Disney Tsum Tsum, continuing on from last year, Sora and Riku have appeared in game! Tell us about how it feels seeing Sora as a Tsum. Irino: I actually own the Sora Tsum! (laughs) I play LINE: Disney Tsum Tsum in my own time and ever since receiving last year’s Sora I’ve been using him as my “My Tsum”. Sora is an important character to me, so as soon as he appeared I was like “I have to get him!”. My friends would also excitedly report to me “I got Sora!”, we all got pretty riled up. Arranged in the cute Tsum style, I once again felt that Sora had become a member of the Disney family. I also love how they included voice! There are so many people that play Tsum Tsum, and it makes me happy knowing that my own character with my own voice appears in game. Q: In his Tsum Skill, Sora does things like throw his keyblade around the screen, you really get a feel of the world of Kingdom Hearts. Irino: Yeah you really do! If they had the chance, even as a limited special event, I would love to see a bigger variety of skills and keyblade being used. There are so many of them after all. 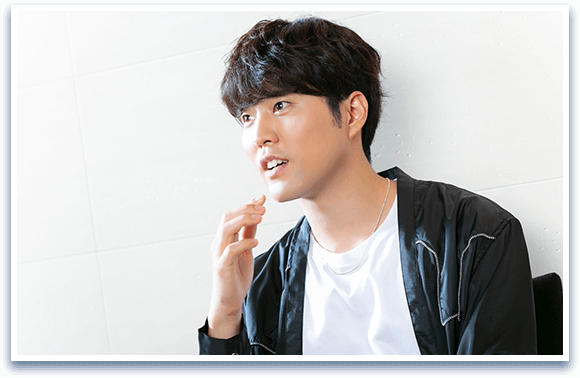 Irino feels somewhere inside him a connection with Riku’s voice actor Mamoru Miyano. A connection just like Sora and Riku’s. Q: The Riku Tsum has also appeared alongside Sora. 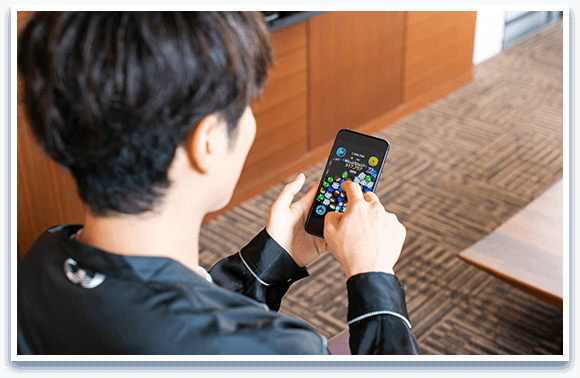 Do you and his voice actor, Miyano-san, ever have discussions about the relationship between the two? 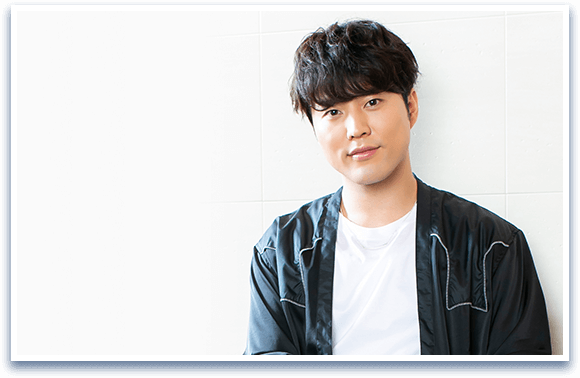 Irino: Recently we don’t really meet up much but we know about what each other is currently working on, and we go to see each other’s performances occasionally and keep in contact. Isn’t it sort of the same with Riku and Sora? Although we don’t talk in depth about things like the voice acting, the performances, and the work in all different genres that we do, somewhere inside we can feel each other at work. Q: Just like Sora and Riku… Throughout the series, there are many instances where Riku and the King set off somewhere, leaving you guys apart. Irino: Yeah, it’s started to strangely slip also into the real world (laughs). You start feeling things like this when portraying characters. Especially when you’ve played the same character for some ten years, which doesn’t happen so often. Somewhere along the line a bit of that character is etched into your real persona. Q: In KH3, the Dark Seeker Saga which began in the very first game will come to its climax! Are you excited? Irino: I’m not sure about whether or not Sora’s story will continue on, but I know that his adventures with Donald and Goofy will continue on forever. I don’t mean in the likes of a main game for the series, but in things like Tsum Tsum, or in the form of various different goods. It would be good to continue to see them represented in these ways. Q: Lastly, a message for Tsum Tsum users and fans of the KH series! Irino: KH is a wide reaching series that encompasses both people who enjoy games and those who don’t. I would like as many people as possible to enjoy this world that is cute, cool, a fantastic world that contains everything, a world just like Disneyland! I’m sure there are many people who through Tsum Tsum have found out about KH, and it would make me happy if this opportunity helps them to get to know more about Sora and the KH series. Miyu is a precious human being. What a great interview! Thank you Saken! That last message was really well done, I loved his responses, it's really nice to read interviews with such a nice flow. Genuine Sora appreciation? Check. SDG mention? Check. Sora & Riku bond mention? Check. Aaaand the questions about Riku could have suuubtly led to hints about what Miyano is doing, but no hints given out this time, ah! Such a nice interview! It really seems like he loves Sora. It is pretty wild to think about playing a role for that long, especially to start so young and have it accompany you throughout your life. Sure seems like Miyu has a unique creative relationship with the character; it's always nice to see an actor get the opportunity to strengthen their skills over time, although usually it's through different parts and projects. Voice acting really is underrated as a craft. Oh and sure why not a sly SoRiku nod while nobody's looking. Problem is we're always looking. Always.